If it’s called a fruit snack it should be fruit, right? At least that’s our take. 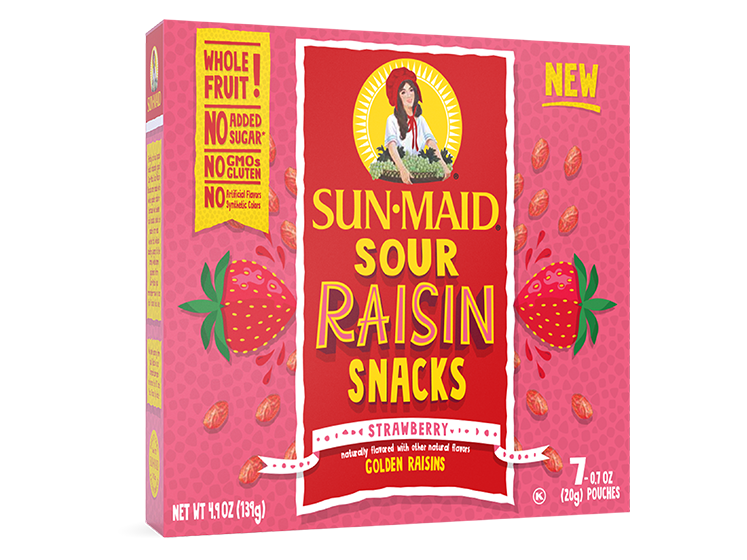 Naturally sweet and wonderfully sour, Sun-Maid Strawberry Sour Raisin Snacks are simply whole raisins with real fruit juice flavoring. Simply said, this healthy fruit snack will put your taste buds in a strawberry patch of deliciousness. *Percent Daily Values are based on a 2,000 calorie diet. Your daily values may be higher or lower depending on your calorie needs. These nutrition facts are based on the 0.7 oz. pack size. 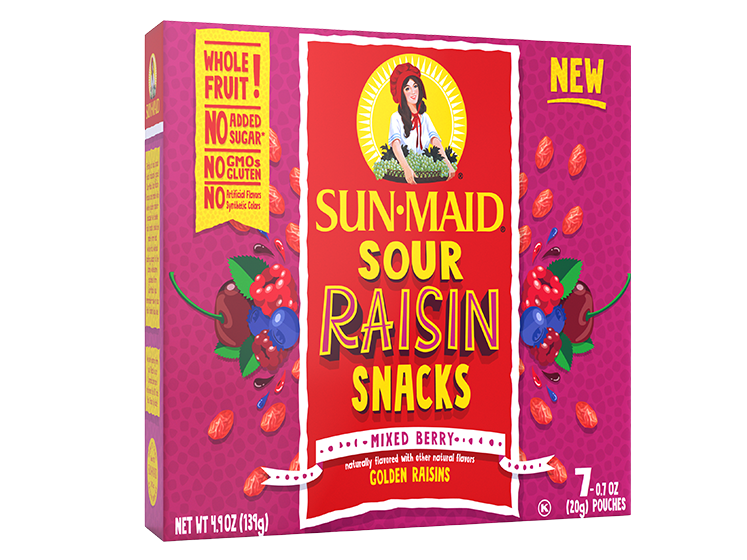 INGREDIENTS: GOLDEN RAISINS, LESS THAN 2% OF: MALIC ACID, SUNFLOWER OIL, VEGETABLE JUICE (COLOR), NATURAL FLAVORS, DRIED ORANGE PEEL, SULFUR DIOXIDE (SULFITES TO PRESERVE COLOR). Absolutely! Raisins have many health benefits! Raisins are a low fat food and provide less than 120 calories per serving. They contribute to our daily intake of fiber, vitamins, and essential minerals. Antioxidant powerhouses, raisins provide only natural sugars. 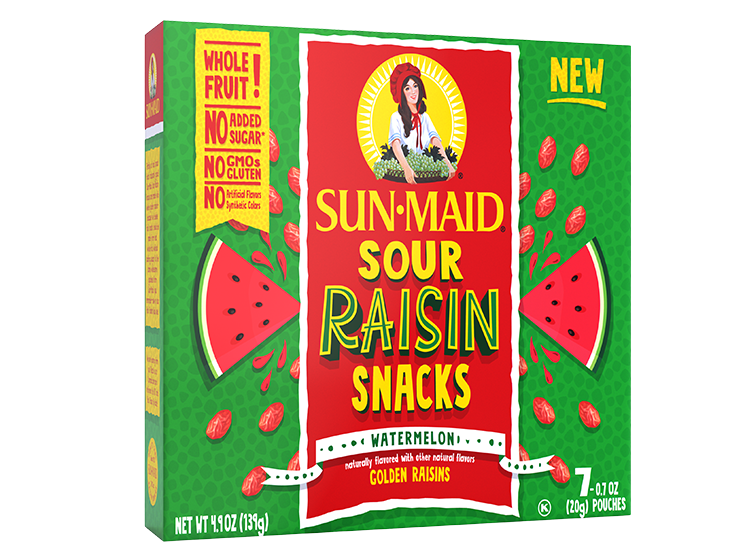 As nutritious as they are delicious, raisins make for a great healthy snack for kids by helping them reach the recommended five to nine daily servings of fruit. They sure are. Raisins are simply dried grapes. Most raisins come from the Thompson Seedless Grapes variety. Due to the dehydration that takes place in dried fruits, raisins have more concentrated nutrition levels than grapes, making them a natural, nutritious, easy and healthy snack for kids and adults alike. What are raisins good for? Besides being a tasty and healthy snack all on their own, raisins are a welcome addition to many recipes. Due to their natural sugars, raisins are a useful component in healthy breakfast ideas, like sprinkling over granola or adding to fruit salads. Raisins are also a popular item in healthy snack and dessert recipes. 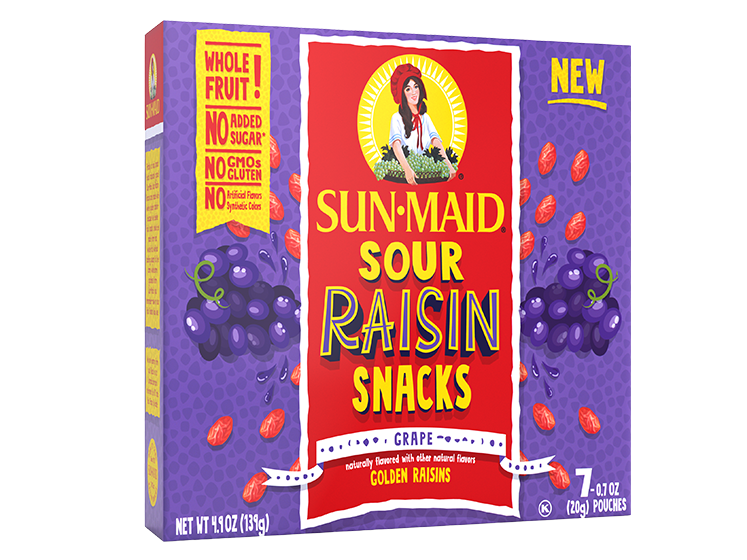 No matter if you’re eating them on the go, as a healthy snack at work or school, raisins truly are an incredibly versatile dried fruit.